I've been helping several girlfriends pull their looks together for galas and balls coming up on the social calendar. And, it struck me, there's never been a more affordable time to find a fab frock for a formal fête (yesssssssss!!!! alliteration!). There are a ton of options out there that won't break the bank. My feelings are this to keep it under budge: go high-lo. 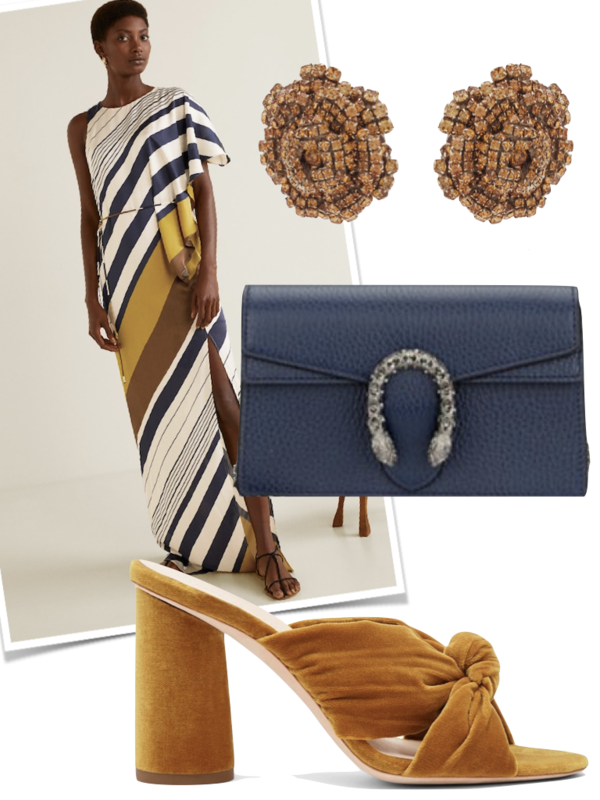 Often you can doll up a maxi dress from an affordable source with a formal feel with elegant and, maybe, finer accessories. Likewise, just because you spent a major chunk on your dress doesn't mean that the bag and earrings can't be from Zara. I mean, keep 'em guessing, right? If it all looks right, no one will wonder how much you spent. They just want to know where you got it. Word. Watch the Shop this week! I am loading in a million fab finds for fall (twice in one post?????!!!!! ).